Some NYSPA members have recently received requests for patient records sent by or on behalf of insurance carriers. These requests cite audit requirements established by the Affordable Care Act. Attorney General Eric Schneiderman has settled a case with a major health insurer, MVP Health Care which he said had been denying an inordinate amount of mental health claims. To read a copy of the article click here. 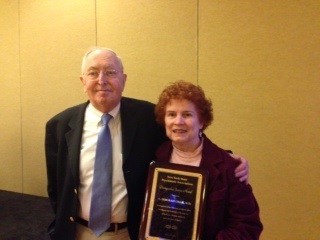 NYSPA congratulates Lois Kroplick, D.O. 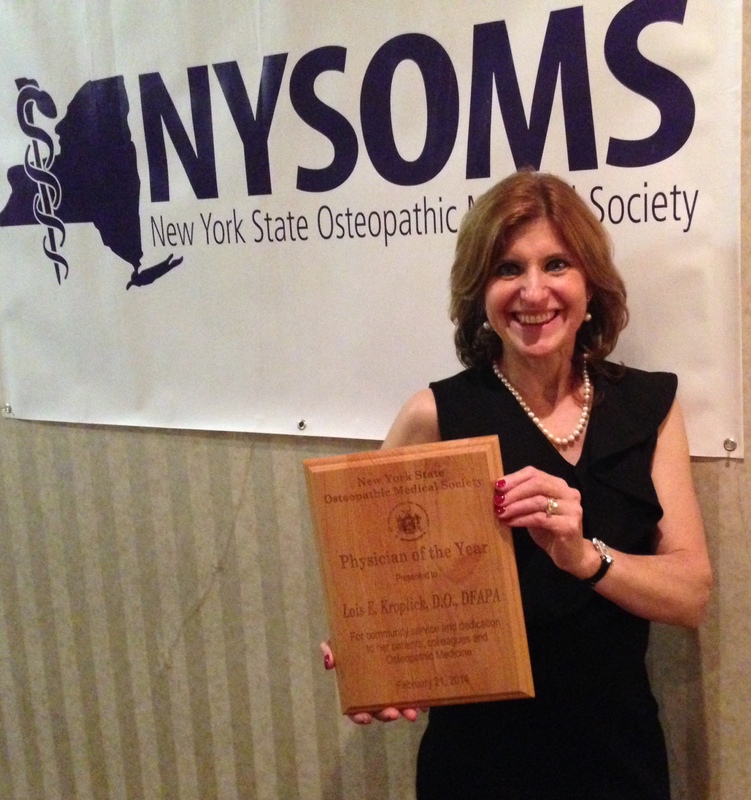 on being named 2014 Physician of the Year Award by the New York State Osteopathic Medical Society. The award was presented on February 21st at the President’s Reception during the 2014 Regional Osteopathic Convention. 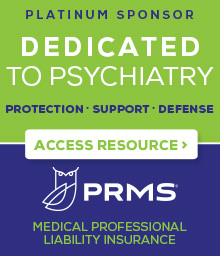 Dr. Kroplick is the first psychiatrist to have received this honor. Click here to view a copy of Dr. Kroplick's acceptance speech. The U.S. Department of Health and Human Services (HHS) recently released a new guidance document detailing how the HIPAA Privacy Rule operates to protect individual privacy rights with respect to mental health information. The guidance document clarifies when HIPAA permits health care providers to communicate with a patient's family members, friends, or others involved in the patient's care, depending on whether the patient is an adult or a minor and consider the patient's capacity to agree or object to the sharing of their information. In addition, the guidance further clarifies how providers may communicate with family members, law enforcement, or others when the patient presents a serious and imminent threat of harm to self or others. The Medicaid Fee-for-Service program recently established a new Dose Optimization program, which will seek to reduce prescription costs by limiting the amount of pills a patient needs to take each day, while retaining daily dosing amounts. This initiative is expected to result in significant cost-savings for the Medicaid program, since, in many cases, pharmacies charge per pill dispensed. Federal law prohibits your private health insurance plan from discriminating against you because you have a mental illness, including a substance use disorder. 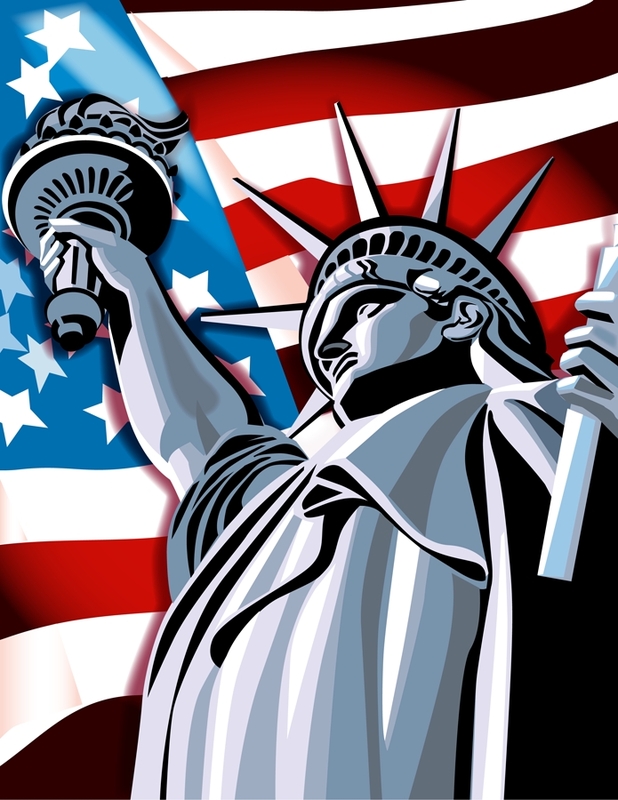 Click here to download a copy of a poster prepared by the APA that outlines your rights. 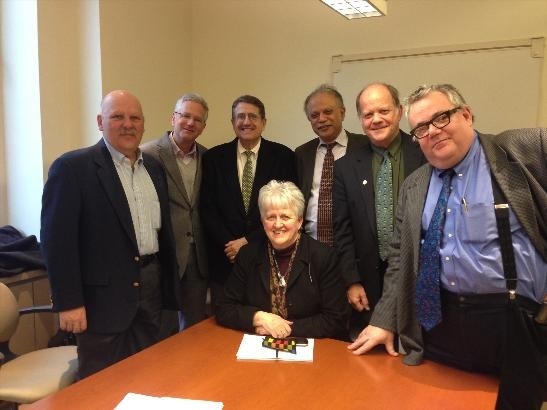 On March 7, 2014, NYSPA members met with Ann Sullivan, M.D., Acting Commissioner of the NYS Office of Mental Health to discuss issues relevant to the practice of psychiatry. NYSPA is very pleased with the appointment of Dr. Sullivan, who is the first psychiatrist to head OMH in more than 30 years. The meeting was attended by Glenn Martin, M.D., Seeth Vivek, M.D., Jeffrey Borenstein, M.D., Barry Perlman, M.D., Jim Nininger, M.D., and Edmond Amyot, M.D. NYSPA recently contacted Governor Cuomo to ask for his assistance in eliminating Value Options' recently re-instituted prior authorization requirement for psychotherapy benefits under the Empire Plan, the health plan for state employees and their families. As the new behavioral health administrator for the Empire Plan, Value Options announced, effective January 1, 2014, a new prior authorization requirement to be imposed on all psychotherapy services that exceed a 10-visit limit. As described in more detail in our letter to Governor Cuomo, NYSPA strongly opposes the prior authorization requirement because it represents a clear violation of federal parity law and regulations. A copy of NYSPA's letter to Governor Cuomo may be viewed here. On Friday, November 8, 2013, the Obama Administration issued a Final Rule implementing the Paul Wellstone and Pete Domenici Mental Health Parity and Addiction Equity Act (MHPAEA). In general, NYSPA and the APA are pleased with the Final Rule, which includes clarification on many important issues, including insurer transparency, nonquantitative treatment limitations and reimbursement rates, among others. To read the APA Talking Points on the Final Rule, please click here. To read the APA Talking Points on the Parity Law in general, please click here.